The latest book that I have finished reading (there are always several that are ongoing) is Helen Thorpe’s latest book The Newcomers which my mother gave to me. I started reading it in the gym, between classes and finally finished it the other day! Helen Thorpe is an incredible journalist that wrote the book Just Like Us which I read in high school about four Latina girls and their journey in school. There is a personal connection I have to Thorpe’s first and most recent book as they are set in Denver Public Schools and I attended Denver East High School. 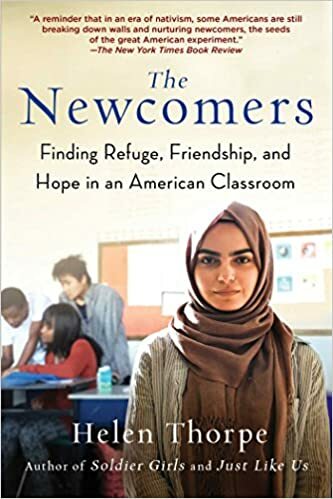 I had a vastly different experience in high school and this book opened my eyes to the hidden challenges refugee students are having as they transition to life and school in America.